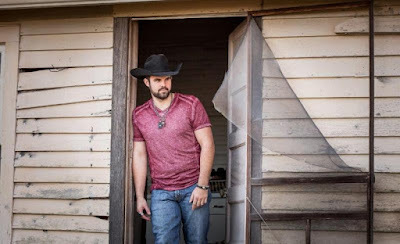 Taste of Country premieres Country newcomer Denny Strickland's sizzling "How Far You Wanna Go" video today. Producer/Actress Lindsey Labadie (Where The Red Fern Grows, Removed, Desert Friends) helmed the project and drew on the talents of director Caleb Kuhl (Wu-Tang Clan, Tedashii, Dylan Scott) and Emmy Award-winning Director of Photography Isaac Alongi (National Geographic, BBC, Discovery) to round out the visual feast. Strickland looks confident crooning seductively from a towering Nashville rooftop, while a pair of comely young actors energetically engage the viewer with their on-the-road adventures throughout. Sparse Mojave Desert and Lancaster, California scenery focuses the eye on the couple, and brings a sense of quiet urgency to the song's title. Denny loves the video process he says, "because you're painting a picture for the listener. I also enjoy editing; digging through eight hours of film to find the perfect 'diamond-in-the-rough' two-and-a-half minutes." The fast chart-rising single, "How Far You Wanna Go," follows his recent Top 40 MusicRow hit, "Swerve On." An Arkansas native, Denny made his CMA Music Festival debut this year with booth signings at the AT&T U-verse® Fan Fair X, and performances at various Music City hot spots. He is currently on a radio promotion tour for the new single, and recent features can be found on the following sites: Billboard, CMA Close Up, MusicRow and Country Music Matters. Denny's early career was guided by The Statler Brothers' longtime manager (and Bass player for Johnny Cash), Marshall Grant. Strickland soon found himself sharing the stage with legends Kris Kristofferson, Rosanne Cash and George Jones. With Grant's passing in 2011, he took a brief hiatus; regrouping and re-focusing his efforts. An accomplished guitarist and keyboardist, Denny has firmly thrown his hat back in the ring. He's touring regularly and rising to national prominence with the success of hit single/video "Swerve On." A former American Quarter Horse Association World Champion Western Pleasure winner (2007), Strickland enjoys riding for pleasure - on both his beloved horses and in his cherished 1968 Camaro.